Small-time waitress Betty (Zellweger) fantasizes about her favorite soap opera doc David Ravell (Kinnear). But she confuses fantasy and reality after witnessing the murder of her sleazoid husband (Eckhart) over a drug deal and thinks she's a character in the soap herself. So she travels to Hollywood to be reunited with her true love, trailed by her husband's two killers (Rock and Freeman). LaBute's unpredictable black comedy represents a departure from his previous claustrophobic, misanthropic work, but retains a cynical edge. Zellweger and Freeman stand out in a stellar cast that includes Kinnear at his smarmy best. 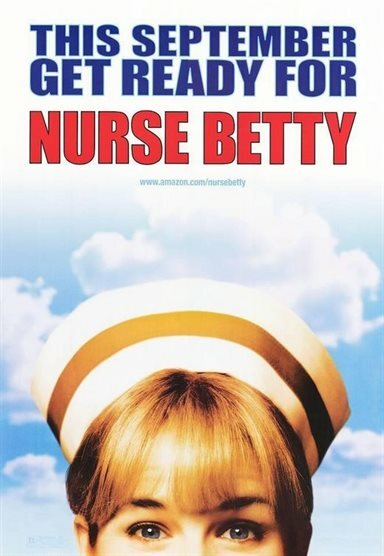 Download Nurse Betty in Digital HD from the iTunes store. Nurse Betty images are © USA Films. All Rights Reserved.